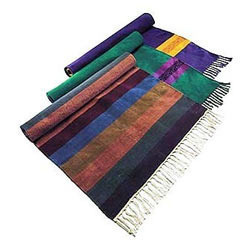 Our product range includes a wide range of loom carpets and cotton handloom durries. We have earned a high repute as rare quality loom carpets. 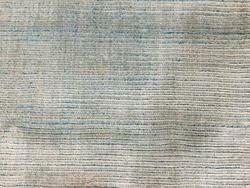 Our loom carpets are very much attractive as they are made with the use of real raw materials. Also our loom carpets are very much inexpensive and highly demanded in the market hence we are famous exporters of them in india. We have expert weavers for manufacturing high quality loom carpets as a result we get very high demands for them. We supply them on proper time as a result we are a highly recommended destination for loom carpets. To furnish the diverse requirements of our clients we are involved in offering a wide range of wool and bamboo silk carpet. We offer these carpets in different beautiful designs and colours as per diverse choice of our valuable clients. These are non slippery in nature and are widely used for enhancing the decor of the place. Apart from this, we also assure to deliver our products in a stipulated time frame. Owing to our rich industry experience and expertise we are offering Cotton Handloom Durries to our clients. Cotton Handloom Durries are created in beautiful manner by our experienced professionals. These products possess excellent patterns, various designs and are notable for their flawless finishing. Offered range is tested by our experienced quality controller’s team. We acknowledge the creativity of our experts who produce wonderful range for our clients.